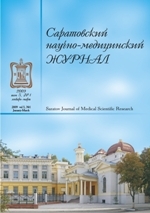 Authors: Kotenko K.V., Korchazhkina N.B., Epifanov A.V., Petrova M.S., Mikhaylova A.A., Shevyakova N.I. Objective: analysis of static-dynamic performance of the musculoskeletal system of athletes of winter sports. Materials and Methods. The evaluation of static-dynamic characteristics of the musculoskeletal system. Results. The highest percentage of load-balancing the body while maintaining a static position was observed in the group of athletes of speed and power of the sport and made up, the lowest — in athletes clearing difficult sport. Significant shift in the distribution of body load were detected in athletes clearing difficult sport in the speed and power sport, none of the athletes of the deviations were found. Conclusion. The survey revealed the features of the coordination ability and load balancing body in athletes of different sports: cycling, hard-house and speed-power. All articles of the authors: Epifanov A.V. , Korchagkina N.B. , Kotenko K.V. , Mikhailova A.A. , Petrova M.S. , Shevyakova N.I. Application of electrophoresis of chlorine in the treatment of plantar fasciitis (prominent heel). Aim: to determine the effectiveness of electrophoresis of chlorine in the treatment of patients with plantar fasciitis. Material and methods. Survey and treatment of 40 patients in out-patient treatment at a private medical clinic OOO «ЛЭЙТОНС» ("LEYTONS, LLC") of 45-65 years with "heel spur" (4 men and 36 women). Age of the disease varied from 6 months to several years. All patients' diagnosis was confirmed radiographically. Before and after the treatment there were tests: Visual analogue scale (VAS) (scale from 0 to 100 points) and dynamic test WAM, defines psychological component of pathology. Results: patients were divided into 3 groups according to type of therapy. In 1-St group was held on the heels of hydrocortisone phonophoresis, in the 2nd group of shock wave therapy; in 3rd group held electrophoresis 5% solution of calcium chloride on the heel with the cathode. In the 1st group pain after the treatment group stopped at 80% of the patients; in the group 2, with 83%; in the group 377% of the patients. Conclusion. Our study showed that the chlorine electrophoresis in patients with plantar fasciitis can be a choice in complex rehabilitation. Identification of adverse effects of therapy confirms the need for an integrated approach to treating patients with this pathology. All articles of the authors: Filatova E.V. The author of research developed and proved the expanded comprehensive programs directed on correction of the main clinical manifestations at patients with a metabolic syndrome. Purpose: To study in comparative aspect influence of expanded comprehensive programs and the combined non-drug technologies at patients with a metabolic syndrome on the main clinical manifestations of a disease taking into account a reduction of body weight, amount of fatty tissue according to anthropometrical and the bioimpedansmetrical researches. Material and methods: research included 250 patients with a metabolic syndrome. Results: under the influence of expanded medical complexes the expressed corrective effect concerning a reduction of body weight and specific weight of fatty tissue was revealed. Conclusion: Application of the optimized expanded comprehensive programs as with inclusion of polymodal multifactorial physiothera-peutic influences, and cryoinfluences, causes without reliable distinctions the expressed reduction of body weight and specific weight of fatty tissue, including visceral fat due to elimination of violations of nature of appetite and food behavior in patients with a metabolic syndrome that is confirmed by results of anthropometrical and bioimpedance research. All articles of the authors: Lopatkina L.V. Experience of an integ rated approach to the rehabilitation of athletes with delayed fracture unions of long bones. Aim. The authors have developed a comprehensive rehabilitation program promotes the formation of a full-fledged callus after fractures of the lower limbs. Objective: To evaluate the effectiveness of inclusion developed a comprehensive program of rehabilitation in patients with delayed consolidation of long bones. Material and Methods: The study included 10 patients with a diagnosis of fracture in the lower extremity with delayed. Results: Under the influence of a rehabilitation program that includes exercise therapy to individually develop a complex, hydrokinesitherapy, practice on robotic biomechanical complex "KonTreks" exercise on a bicycle ergometer, physiotherapy, was marked by the increase of power and functional parameters of joint and muscular legs. Conclusion: The application of the developed program of rehabilitation treatment of patients with a diagnosis of a fracture in the lower extremities with delayed consolidation is highly effective and pathogenetically substantiated by affecting the speed-strength and power performance of muscles of the lower extremities. Authors: Kotenko K.V., Korchazhkina N.B., Mikhaylova A.A., Epifanov A.V., Portnov V.V., Danilova D.P. All articles of the authors: Danilova D.P. , Epifanov A.V. , Korchagkina N.B. , Kotenko K.V. , Mikhailova A.A. , Portnov V.V. Authors: Korchazhkina N.B., Lopatkina L.V. The authors have developed a comprehensive rehabilitation program promotes functional state and raise reserve and adaptive capacity of the organism. Aim. To analyze the effect of advanced features integrated programs and combined non-drug technologies on carbohydrate and lipid balance and enzymatically-metabolic processes in patients with metabolic syndrome. Material and Methods: The study included 250 patients with metabolic syndrome. Results: under the influence of extended medical complex was detected more pronounced corrective effect on lipid and metabolic imbalance. Conclusion: Underthe influence of the developed optimized advanced integrated programs to a greater extent with the use of multimodal physiotherapy multifactorial influences, there is highly reliable correction of carbohydrate, lipid and enzyme metabolism in patients with metabolic syndrome. All articles of the authors: Korchagkina N.B. , Lopatkina L.V. Authors: Illarionov V.E., Portnov V.V., Danilova D.P., Kolbakhova S.N. Aim: development and scientific substantiation of a complex application halo-inhaled and flutter-kinesiotherapy in patients with chronic obstructive toxic chemical bronchitis. Material and methods. There was an examination and treatment of 125 patients with chronic obstructive toxic chemical bronchitis at the age from 32 to 65 years (average age 52.2+3,1) with industrial experience from 5 to 27 years (average age 15.9+3,9). Results. Comparative analysis revealed an advantage of an integrated application halo-inhaled and flutter-kinesiotherapy in patients with chronic obstructive toxic chemical bronchitis as in the I, and that is especially important at the II stage of the disease, which is confirmed by the regression of the main clinical symptoms, a significant decrease in the intensity index of inflammation, recovery to normal values of factors of local immunity broncho-pulmonary system. Conclusion. Developed a comprehensive program including halo-inhaled and flutter-kinesiotherapy in patients with chronic obstructive toxic chemical bronchitis has a pronounced anti-inflammatory, antibacterial and immunocorrection effect, improves bronchodilating function and bronchial obstruction in bronchial tubes of large, medium and small caliber. The absence of exacerbations in the past year proves that this method is highly effective secondary prevention of lung disease. All articles of the authors: Portnov V.V. , Kolbakhova S.N. , Illarionov V.E. , Danilova D.P.